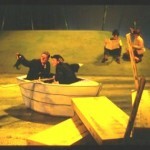 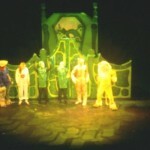 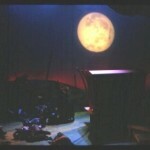 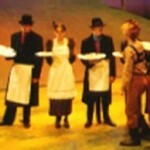 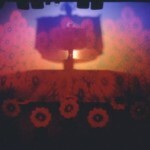 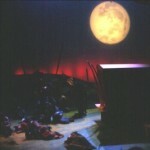 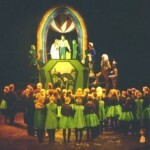 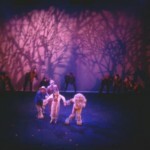 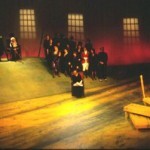 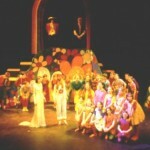 The second Northcott Youth Company production relied heavily on lighting effects to distinguish between the many locations Dorothy and her friends visit. 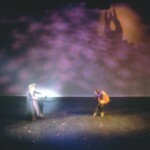 As the photos show, fairly heavy use of gobos here ! 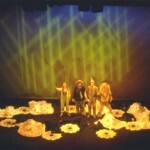 The final image of Act I as the friends approach Emerald City had me scratching my head for days – I tried making a gobo of a cityscape, using an overhead projector to project the cityscape, shadow projection of the cityscape but eventually settled on three overlapped linear breakup gobos (second photo on the right) from the rear of the auditorium. 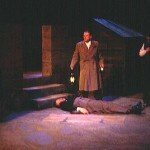 Worked a treat ! 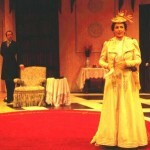 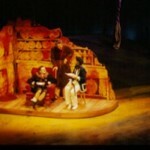 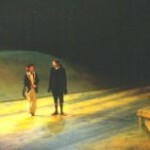 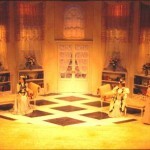 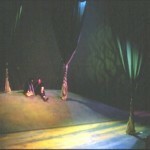 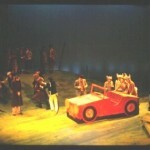 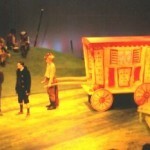 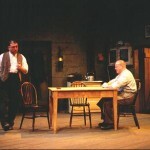 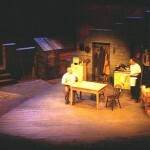 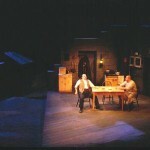 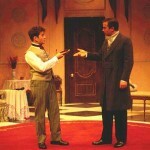 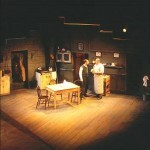 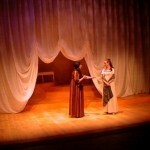 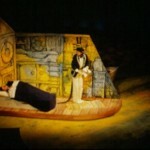 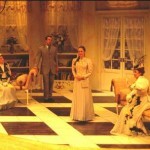 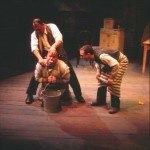 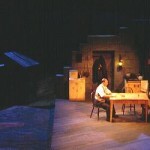 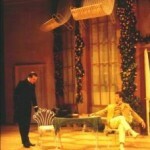 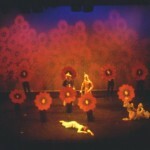 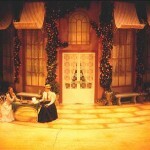 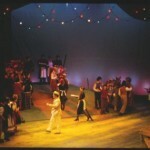 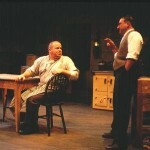 This was also my first use of moving lights at the Northcott – two Mac 500s, and two Mac 600s. 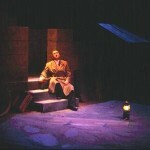 The wash lights helped get me out of a mess with lighting the midstage gauze evenly, and the spots were invaluable at picking up solos in large choruses, and highlighting principals. 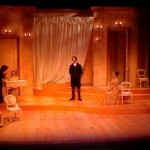 This entry was posted in Uncategorized on February 28, 2013 by adminlh.